Some time ago, I think back in April, I received a letter from a woman name Jonnie from the Mitchell Foundation, in Dallas, Texas, USA. 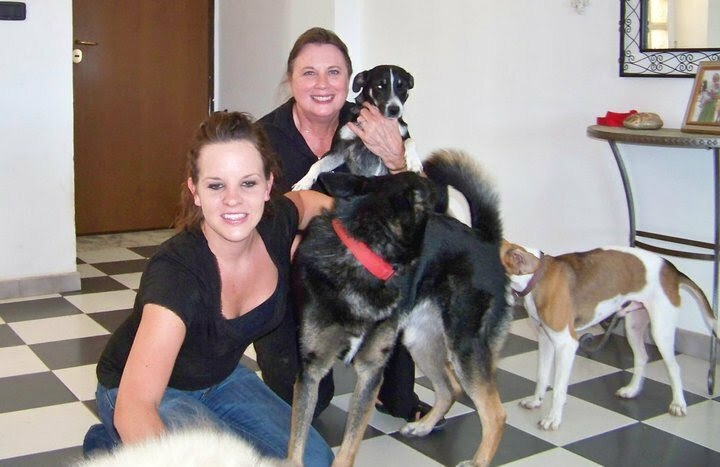 They were interested in coming over and visiting different organizations and foundations that worked with helping animals. Well, in September she and Ashley came over, and I got the pleasure to show them around in our area. We visited our 18 dogs–that could be like a kennel in itself. And all the dogs loved up on them, and so did my daughter Olivia. I took them around to one of the better shelters in Liccola, with 500 dogs. I wanted them to visit the Governmental shelter in Giuliano but since I am not allowed inside that horrible shelter, we took a drive around the outside. Outside the shelter we saw some strays. One female with a bad eye infection. Ashley and I jumped out and put out some food. Jonnie and Ashley donated money to help the female with medicine. And so we did, I went back with two Italian volunteers, and we medicated her (and named her Laura). 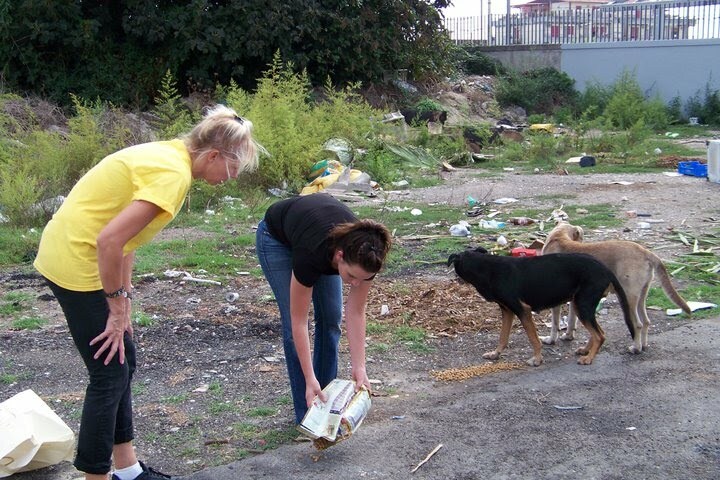 Later on Jonnie and Ashley visited the dogs in Pompeii. Mia, thank you for posting pictures of our visit! Ashley and I had a wonderful time with you, Olivia and Max. You do such amazing work, and your dedication is an inspiration. You were so gracious to spend all day with us and show us around. Conditions are so bad, but you help so many animals there. We will stay in touch, and our best to Leo, Laura and all the rest! Jonnie, thank you so much for your comment. You have made so much for us, its amazing I am still floating on clouds. Your knowledge is amazing.